With Peter Bils and Gleason Judd. Abstract: This paper argues that stalling—fighting to maintain the status quo until military defeat—is a rationalist explanation for war. We develop a model in which a delay exists between war’s initiation and termination. During that time, states maintain a status quo share of the good in dispute. If states discount the future at different rates, no mutually preferable settlement may exist. War is more likely when a comparatively patient state is powerful but holds a disproportionately small share of the status quo. In addition, the parameters for war are nonmonotonic in the length of conflict, with fighting only occurring when the time to termination falls in a middle range. These results suggest that stalling is a key driver of civil war. 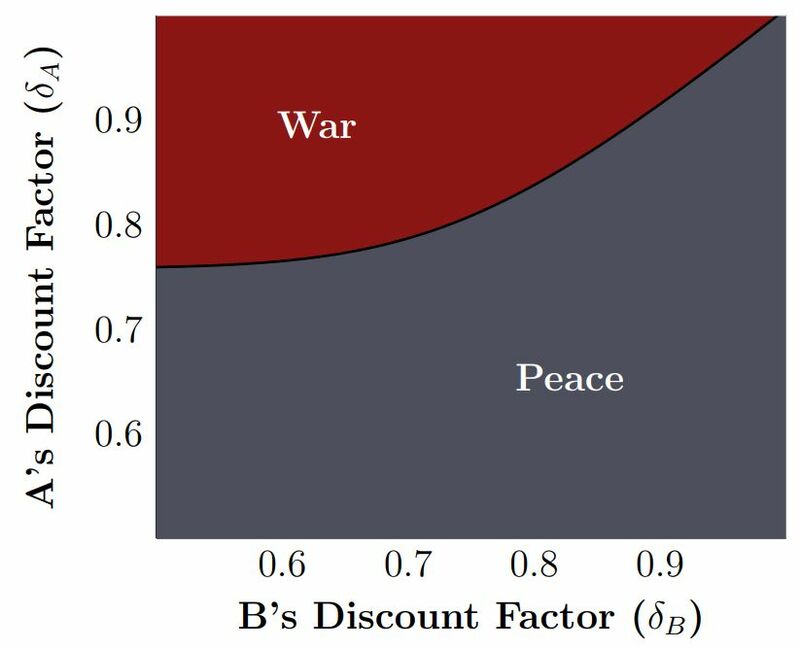 In conjunction with monadic theories of democratic peace, it also helps explain why pairs of democracies fight less often but all other pairs of states fight with roughly equal probability.